When searching for a White Bear Lake Tree Care Company, don’t overlook A Tree Services! We have been serving the White Bear, MN area for more that 35 years. When your property looks great, you feel great driving to it. We love to help the local community with what we can and since Arboriculture is our passion, that is what we provide. Tree Removal, Tree Cutting, Stump Grinding, and Tree Inspections are just a couple of services we offer the local area. Tree Removal – Tree Removal is a dangerous job. It helps a lot to know exactly what to do and have experience removing more trees that one can count. A Tree service has that type of experience and you can benefit from it. 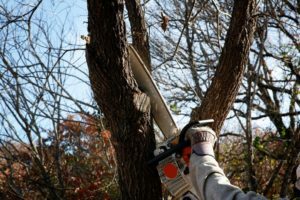 Tree Cutting – Make cutting, trimming and pruning a breeze when you hire a professional White Bear Lake Tree Care Company for the job. Our equipment and techniques don’t only help the owners but also help your trees. Stump Grinding – Stump grinding can be a big job, for some. Our high specialized equipment makes it easy for us to cut through even the most solid of stumps and make mulch out of all the roots around. Tree Inspections – Is your tree looking different that before? Maybe new sprouts are growing at the base, the leaves are thinning, or the bark of the tree looks different that usual. Acting at the first signs of a weakening tree can often save you not only a tree but a bunch of green. So, if you need any type of care for your trees, contact A Tree Services for professional services in a timely manner. We can be reached Mon – Fri, 9am – 5pm at 612-724-6045. 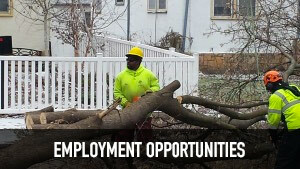 This entry was posted in Tree Care Twin Cities and tagged Stump Grinding, Tree Care Company, Tree Care MN, Tree Care Services White Bear Lake MN, Tree Cutting, Tree Inspections, tree removal. Bookmark the permalink.